Greetings, and welcome to my site. My name is Cathy. My goal is to help your body, health, and mind reach their peak potential. My focus is on Integrative Yoga Therapy. With Integrative Yoga Therapy, I do not simply help you realign a foot or lengthen your spine. Instead, I invest the time to understand your specific needs as an individual. I learn more about your specific health conditions. And then I create a student-centered program for you, with me acting as a facilitator to bring you toward a personal awakening. It is an in-depth understanding of a health condition as well as the specific needs of an individual. Training is extremely student-centered with the teacher acting as a facilitator who guides the student toward awakening. The goal is for the student to find their true selves and sources of wellness. IYT helps each student develop harmoniously in their body, mind, and spirit. See: What Is A Yoga Therapist? A lot of different Yoga Styles are rooted in Hatha Yoga. All these styles aim to balance the mind, the body, and the spirit through the Asanas or poses; however, the emphasis varies. Cathy integrates many forms of Yoga into her classes and now has created the ‘best of the best’ mixture of each style of Yoga. This eclectic yoga concept is unique to Cathy. She believes that teaching this style of yoga provides the best means for a student’s self-discovery. Cathy is trained and registered as a Professional Yoga Therapist through Integrative Yoga Therapy Institute. 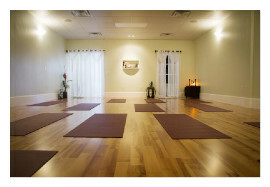 (500 hrs of Integrative Yoga Therapy. 200 hrs Kripalu/Hatha Method). Also registered as a Certified Yoga Therapist through International Association of Yoga Therapists. Yoga is new to my lifestyle – my exercise concentrated on power walking, some weight training, and frustrating golf! I began yoga as a way to unite the mind and body. I have found yoga with Cathy Daley to be one of the best additions to my life…an exercise enhancement that includes the mind and heart. She is an amazing yoga instructor and her work with me produced a strong sense of well being. I am competitive and have a high stress work environment. 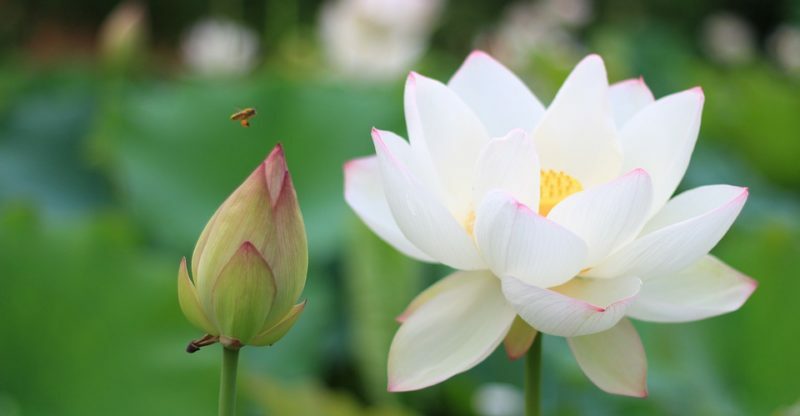 Cathy’s yoga practice teaches you that life is inseparable from the Now and staying in the state of the Presence is paramount to a healthy lifestyle. Yoga with Cathy has produced improved my concentration (calming of the mind), flexibility and strength. I believe working with Cathy is a gift – through her yoga instruction I have a heightened respect for my body and I have a lot more vitality. Plus, the yoga practice includes holistic benefits (improved posture, better intake of oxygen, etc.) for the immune system. I am very grateful for you and your classes. I woke up with pain in my shoulder the last two days but after this morning I am much better. Your class is great for learning how to talk and listen to your body. It is noninvasive and a kind of holistic health insurance. It is very important to me as I have tried everything except surgery for the herniated discs in my neck. Your classes are a miracle for me. Instead of feeling sorry for myself I am actively doing what I can with wonderful results… From one teacher to another you are the very best. Classes are wonderful both physically and mentally and the exercises vary. I look forward to classes all week. Thank you Cathy, I so enjoy the workshop, studio and you, of course! Had to tell you that I awoke feeling so light in my lower back. My sacrum has the feeling of a spring chickadee. Ha.ha. Have always suffered from lower back tightness and spasms. Yoga has been one of the solutions. However, this morning, I feel especially good. Thanks again and enjoy this beautiful day. Hi Cathy, Just wanted to thank you again for the wonderful yoga classes over the past 3 months. It really meant a lot to have such a beautiful, serene studio and a gentle, knowledgeable teacher. I hope to join you again next year and look forward to receiving the e-mails to stay in touch. Namaste! Cathy, You are a Miracle Worker!! Thanks so much for an almost “private” yoga session today. For the past 10 days, my knee has been a big issue — and I knew it had to do with doing something to aggravate it and then lack of exercise, etc. The pain came when I stood up or changed from a sitting position and then walking would actually cause a limp that was visible for the first few steps. I was even aware of pain when sleeping. Right now — I have NO pain!!!!!!!!! I will continue to do the therapy movements that you showed today and that along with getting back to the gym should keep me in alignment!!! I so realized after class today that I should have been coming to Yoga as things were difficult instead of thinking of going when everything was over! Always a wonderful experience! Cathy is very knowledgeable and teaches the proper safe way to enjoy yoga without injury. …MoreAlways a wonderful experience! Cathy is very knowledgeable and teaches the proper safe way to enjoy yoga without injury. Great way to stretch, get in shape & balance mind and body. My wife and I have been practicing Yoga under Kathy for five years. We love her, she is an awesome instructor. My wife is always raving about her to her friends. We would highly refer her to anyone looking for a yoga studio. My wife and I have been practicing Yoga under Kathy for five years. We love her, she is an awesome instructor. My wife is always raving about her to her friends. We would highly refer her to anyone looking for a yoga studio. Her studio is not far, convenient to get to, very clean and has a very relaxing atmosphere. Practicing yoga with Kathy has helped me greatly with my back and leg pain and helps ground me and remove the unnecessary clutter from my mind. Bravo Kathy!! I have taken yoga classes in a few counties and from many teachers over 20 some odd years and Cathy is the best teacher I’ve ever had. The therapeutic awareness and mindfulness are what makes the difference. I have taken yoga classes in a few counties and from many teachers over 20 some odd years and Cathy is the best teacher I’ve ever had. No pose is entered into without proper setup and alignment. Truly yoga for a lifetime of practice not just in your youth. 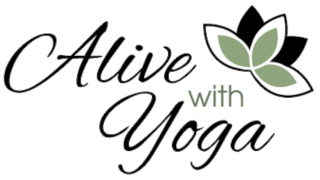 I’ve been taking yoga for 30+ years and Cathy Daley’s, Alive With Yoga studio, provides the atmosphere you HOPE for when you take a yoga class. Though the classes are basic, even an advanced student will feel refreshed and renewed. The studio itself is lovely and calm and beautifully appointed. It’s a pleasure to take the class there. Cathy is the most educated yoga therapist I have encountered. She always teaches with your body in mind to ensure proper posture is used. Her goal is to improve our health by example. She truly loves and breathes yoga. A wonderful teacher. The best studio ever, and more importantly, the very best teacher. 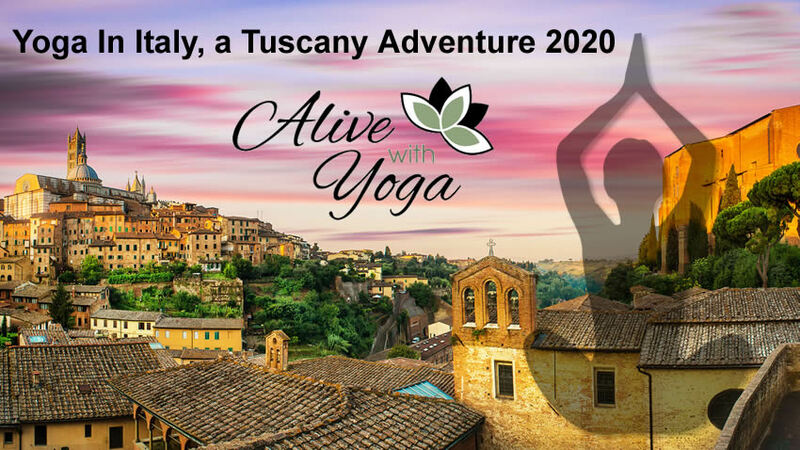 I have taken yoga classes for over 25 years in multiple states and am so very glad to have found Alive with Yoga and Cathy Daley. Her extensive training & therapeutic approach will enable me to continue for 25 more years! Absolutely best yoga therapy I’ve ever experienced. Cathy Daley is extremely knowledgeable and a true expert in her field. I always leave her class feeling more present with an enhanced sense of well-being in mind body and spirit. Cathy Daley is extremely knowledgeable and a true expert in her field. I always leave her class feeling more present with an enhanced sense of well-being in mind body and spirit. She teaches beautifully how invaluable body awareness techniques can be applied throughout our regular daily routines.